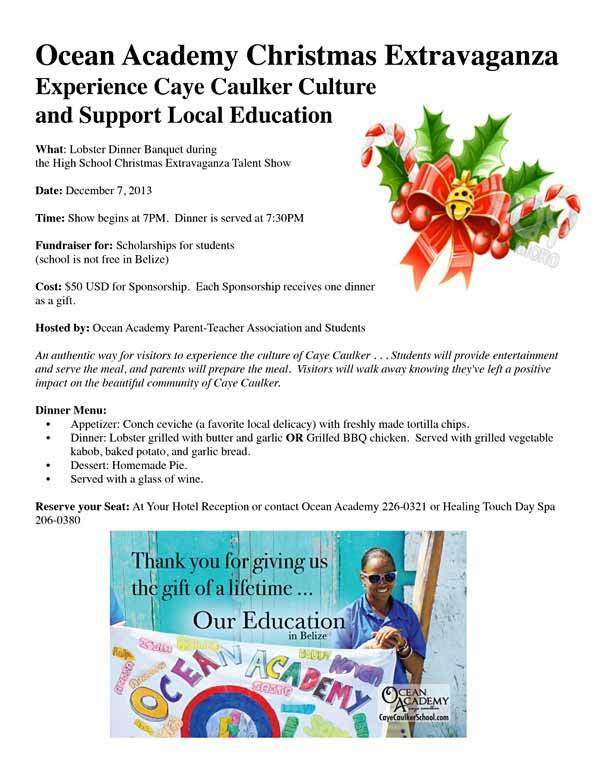 Dear Caye Caulker Business Owners, Ocean Academy PTA would greatly appreciate your support by inviting your guests to an important fundraising event next Saturday, December 7th. Cost: $50 USD for Sponsorship. Each Sponsorship receives one lobster dinner as a gift. Hosted by: Ocean Academy Parent-Teacher Association and Students. Tickets available Healing Touch Day Spa please feel free to stop stop in anytime or call 206-0380 for more info. You can also contact me or PM me for tickets or call Ocean Academy! Thank you!